These look so good, but I have to ask---how long did it take you to make them? 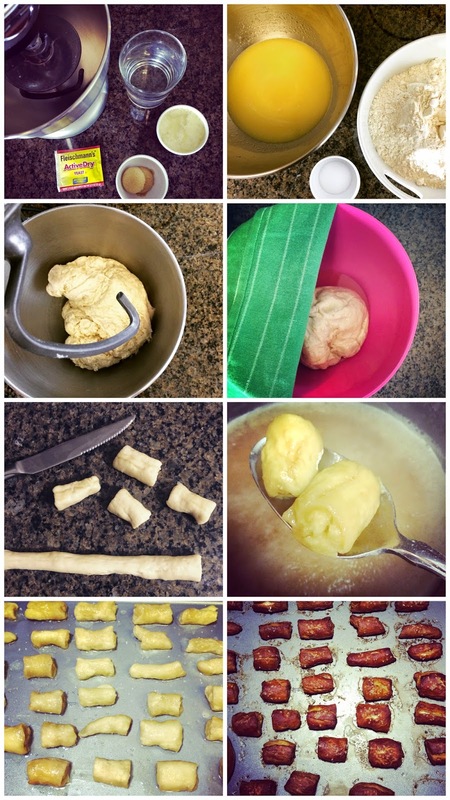 I've never made pretzels before, I want to try. These look delicious! You and Katie with the yummy snacks!!! I should not have read your posts before going to the gym haha. These look delicious too though. I'm with you on the pro football thing too, I just prefer the food lol. YUM!! 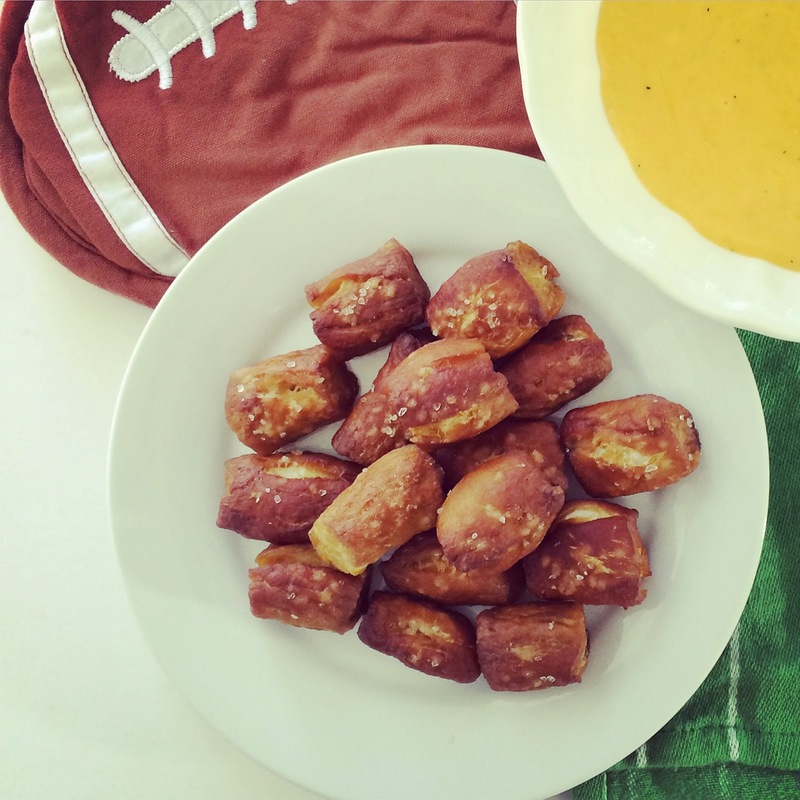 I was planning on having pretzel bites at our Superbowl party but now you've got me thinking I should try to make them myself?! These look amazing! I mean I sometimes get them from Trader Joe's and warm them up.......then think I was fooling everyone ;-) Making them from scratch you never cease to amaze me girl! Those look so good! There is NOTHING better than a yummy pretzel bite - this salty snack has always been a favorite of mine! These look so so good! I've had bad luck trying to bake things using yeast, but maybe I should give these a try because I know they wouldn't last long in our house either. Ugh, and now I'm drooling all over my desk. LOVE PRETZELS!!!!!!!! OH MY GOSH... I would eat every last one & slap a hand that tried to touch them. Those look delicious! A little too labor intensive for me but they look yummy! These look absolutely amazing!!! I have never tried to make homemade pretzels before, but I am sure they are far better than the frozen kind and totally worth it! Yum! I love soft pretzels! So yummy! And I got my spiralizer too and I love it! Yes, please! Soft pretzels are good anytime of the year. 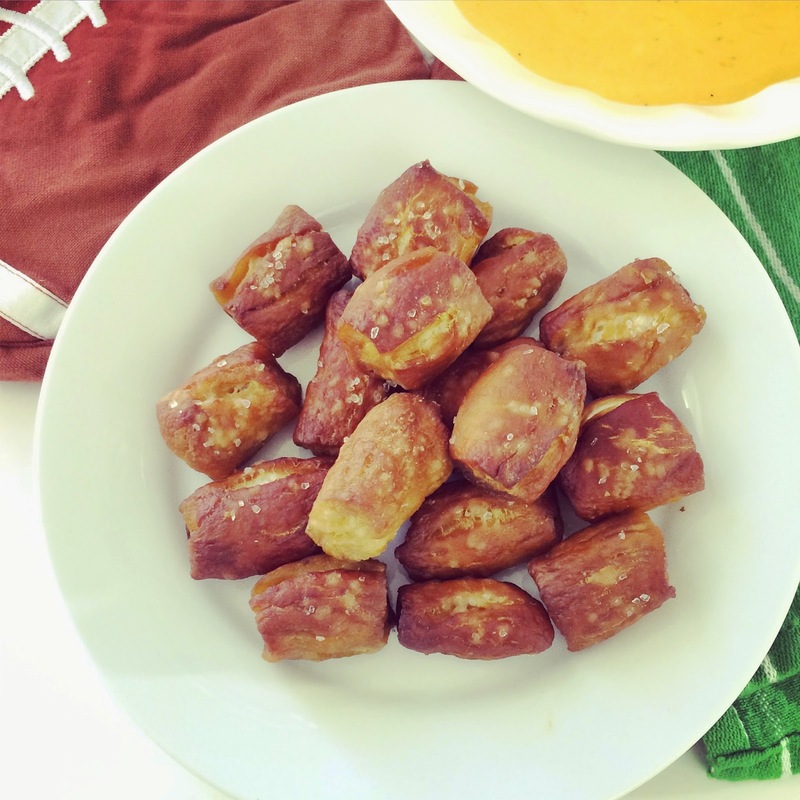 These would be perfect for Super Bowl - such a great idea for finger food! YUM. We are going to a chili cook-off for the Super Bowl, but after drooling over this post I'm tempted to forget the chili and show up with pretzel bites!